50 years ago Yuri Gagarin became the world’s first human to go into space. What did he see? He described it fairly well, but there are limited pictures and no video from his time in orbit. Now, through a unique collaboration between a filmmaker and ESA astronaut Paolo Nespoli on board the International Space Station, high definition video of what Gagarin might have seen has been woven together with historic recordings of the flight (subtitled in English) to create a new, free film called “First Orbit” that has now been released. This movie is a real time recreation of Yuri Gagarin’s pioneering first orbit, shot entirely in space from on board the International Space Station. The film combines this new footage with Gagarin’s original mission audio and a new musical score by composer Philip Sheppard. For more information about the movie see the First Orbit website. Also, the @FirstOrbit twitter feed will tweet the original communications in “real” time (50 years later) on April 12, recreating the events as Gagarin flew on Vostok 1 flew from 6:07-7:55 UTC. 50 Years ago on April 12,1961 the era of Human spaceflight opened with a roar to the heavens above with the thunderous blastoff of Cosmonaut Yuri Gagarin aboard the Vostok 1 capsule from the Baikonur Cosmodrome Site No.1 at 9:07 a.m. Moscow time. Gagarin, at the age of 27, dared to brave the perils of the unknown and became the first human being to be strapped atop a rocket, ascend to outer space and view what no one else had ever seen, the entire Earth as a sphere. A bold and courageous test flight in every dimension. And the effects of weightlessness had only been tested on dogs – not people. Herein is a picture album of significant launch day events, including three collages of rare photos of Yuri Gagarin climbing up the launch tower and boarding the Vostok 1 spacecraft for the historic liftoff of the first manned spaceflight on April 12, 1961. Roscosmos, the Russian Federal Space Agency, put out a call for anyone interested in Yuri Gagarin and the birth of the human space exploration era to share their documents, photos and other information with the public – and the fabulous collages resulted from the response. Do you have photos or memories of Gagarin ? Send them to Ken. Gagarin traveled widely as an ambassador of goodwill, bridging the dangerous ideological gulf between East and West during the height of the Cold War. Tragically, Gagarin’s life ended on March 27, 1968. He was flying a routine training mission in a MiG-15UTI fighter with flight instructor Vladimir Seryogin when the plane suddenly crashed near the town of Kirzhach. Gagarin was laid to rest in the wall of the Kremlin on Red Square. In honor of this 50th anniversary of the dawn of Human spaceflight, a global network of over 444 Yuri’s Night parties are being staged worldwide on April 12, 2011 to celebrate one of the humankind’s greatest achievements – that’s double the number from 2010. 20 years after Gagarin’s flight, NASA’s first space shuttle blasted off on the STS-1 mission on April12, 1981. You can join in the local Yuri’s Night festivities taking place in more than 70 countries from Afghanistan (visited by Gagarin in Dec. 1961) to Vietnam. Or join Ken in Princeton Junction, New Jersey for a free presentation about Gagarin’s flight and my behind the scenes look at the space shuttle and beyond. Rare Photos of Yuri Gagarin and Vostok 1 Launch on April, 12, 1961 – First Human Spaceflight. Cosmonaut Yuri Gagarin became the first human to journey into outer space by launching to orbit aboard Vostok 1. On April 12, 1961, Russian cosmonaut Yuri Gagarin (left, on the way to the launch pad) became the first human in space, making a 108-minute orbital flight in his Vostok 1 spacecraft. Newspapers like The Huntsville Times (right) trumpeted Gagarin's accomplishment. Mark your calendars. April 12, 2011 marks the 50th Anniversary of Human Spaceflight and Cosmonaut Yuri Gagarin’s astonishing First Orbit of our precious planet Earth on April 12, 1961. 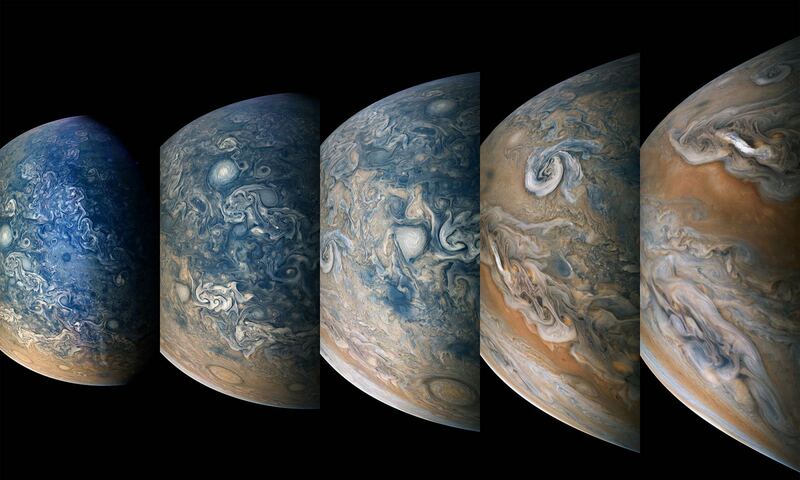 Gagarin was the first human to enter outer space and see what no one else had ever witnessed – our commonly shared Earth as a planet and beautiful blue globe with no borders. Space enthusiasts worldwide are celebrating this watershed moment in Human history at a network of over 400 “Yuri’s Night” parties taking place in more than 70 countries on 6 continents and 2 worlds, according to the official “Yuri’s Night” website. Gagarin’s flight took place in the midst of the inflammatory Cold War rivalry between the Soviet Union and the United States and shocked the world into new realities. The Space Race led to the first lunar landing by the United States and Neil Armstrong’s first steps on the moons surface in 1969. Eventually, the world’s superpowers beat swords into plowshares and united their efforts to build the International Space Station. Yuri Gagarin was the first person to boldly leave the bonds of Earth’s gravity and thus became the first “Spaceman”. Gagarin blasted off inside the bell-shaped Vostok 1 spaceship from the launch pad at Baikonur at 9:07 a.m, Moscow time (607 UTC) to begin the era of human spaceflight. Gagarin flew around the Earth in a single orbit at an altitude of 302 kilometers (187 miles). The flight lasted 108 minutes and safely ended when he descended back and parachuted to the ground, just north of the Caspian Sea. At the age of 27, Gagarin was instantly transformed into a worldwide hero. After the momentous flight he soon embarked on an international tour. 20 years later on April 12, 1981, NASA’s first space shuttle blasted off on the STS-1 mission on a daring test flight with astronauts John Young and Bob Crippen strapped inside Space Shuttle Columbia. The first “Yuri’s Night – World Space Party” was held on April 12, 2001 to commemorate the 40th anniversary of Gagarin’s spaceflight. Over 10,000 people attended 64 events located worldwide. The goal was to inspire people, increase awareness and support for space exploration across the globe and foster the spread of new ideas to broaden our access to space. “Yuri’s Night” has been growing in popularity every year. Events range in size from a few folks to numbers in the thousands. Attendees range from astronauts and cosmonauts, NASA and global space agency officials and reps, scientists and engineers, famous actors, playwrights, writers, artists, athletes and musicians to just everyday folks and kids of all ages and backgrounds. Everyone can get involved. In honor of the 50th anniversary of Gagarin’s flight, documentary film maker Christopher Riley conceived and created a film titled “First Orbit” to try and show the approximate view of Earth that Gagarin actually saw. There is only scant footage of Gagarin’s actual flight and he himself took no pictures of the Earth from orbit. “First Orbit” recreates much of the view of the Earth’s surface that Gagarin would have seen fifty years ago. Mostly he flew over the world oceans as well as the Soviet Union and Africa. Riley collaborated with the astronauts aboard the International Space Station, chiefly Paolo Nespoli of ESA, who took film footage from the new 7 windowed Cupola as the station matched the actual flight path of Gagarin and Vostok 1 as closely as possible. The free film celebrates 50 years of human spaceflight. “First Orbit” premiers worldwide on YouTube in a special global streaming event for Yuri’s Night on April 12 . Watch the short trailer below, with original and stirring music by Philip Sheppard. It’s easy and free to register your local party at the Yuri’s Night event website. There is still time to register your Yuri’s Night party – Indeed the list has grown as I typed out this story ! Some events are already set to kick off this weekend. I’ll be presenting at an interactive and free Yuri’s Night evening event in Princeton Junction, New Jersey, about Gagarin’s flight and my experiences with the space shuttle and what‘s beyond. Russian built Mini Research Module MRM-1 launched aboard US Space Shuttle Atlantis in May 2010. Shuttle Atlantis delivered MRM-1 (known as Rassvet) to the International Space Station. MRM-1 undergoes final prelaunch processing inside clean room at Astrotech Space Operations Facility in Florida. Docking port to ISS is protected by red colored covering. Equipment airlock for experiments at top. Russian Flag mounted at left. 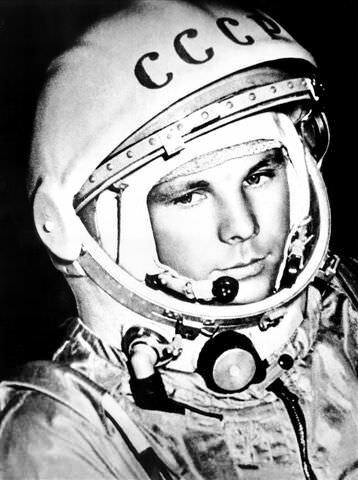 50 years ago, April 12th, Yuri Gagarin became the world’s first human to go into space. What did he see? He described it fairly well, but there are limited pictures and no video from his time in orbit. Now, through a unique collaboration between a filmmaker and ESA astronaut Paolo Nespoli on board the International Space Station, high definition video of what Gagarin might have seen has been woven together with historic recordings of the flight (subtitled in English) to create a new, free film that will be released on the 50th anniversary titled First Orbit. Above is the trailer for the film. What a perfect way to celebrate this historic moment. “Circling the Earth in my orbital spaceship I marveled at the beauty of our planet. People of the world, let us safeguard and enhance this beauty — not destroy it!” — Yuri Gagarin.